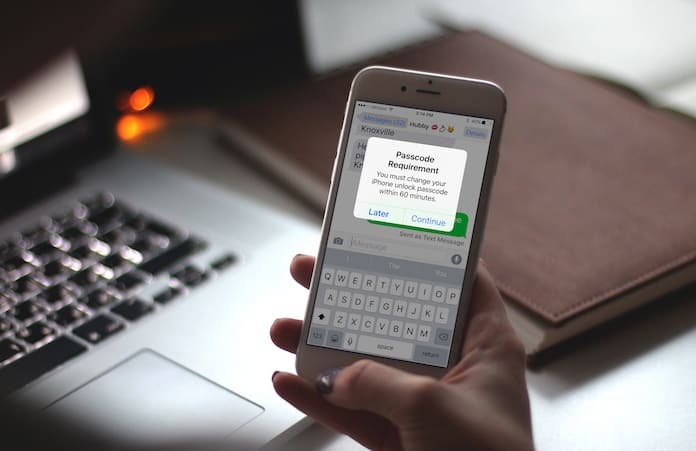 There are a number of iPhone users who have seen a strange prompt that comes in the shape of a message requesting an unlock passcode change sometime in the coming hour. It appears on the home screen of iOS devices and is titles as Passcode Requirement. Its exact statement reads as “You must change your iPhone unlock Passcode within 60 minutes”. There are options that follow this message that read as Later or Continue. The Later option just causes the message to reappear whenever one unlocks the iPhone and it counts down the minutes left until the task is performed. This is something that has come as quite a surprise for those who use Apple and at first, it just caused panic. After all, despite the fact that iOS is famous for its security and stability it isn’t unheard of for the system to get corrupted. Many thought this was an example of exactly that happening. As a result, many people just hit Later and started digging around to ascertain what exactly is going on. However, the whole problem is that the prompt never really disappears and just comes up again after some time. One breath of relief for everyone will be that this doesn’t seem to be some sort of malware or virus at all; your iPhone should be clean on that count at least. There can be several reasons behind why you see this prompt again and again. Most of these are very logical in nature or are caused by settings that have been set on your iOS device. 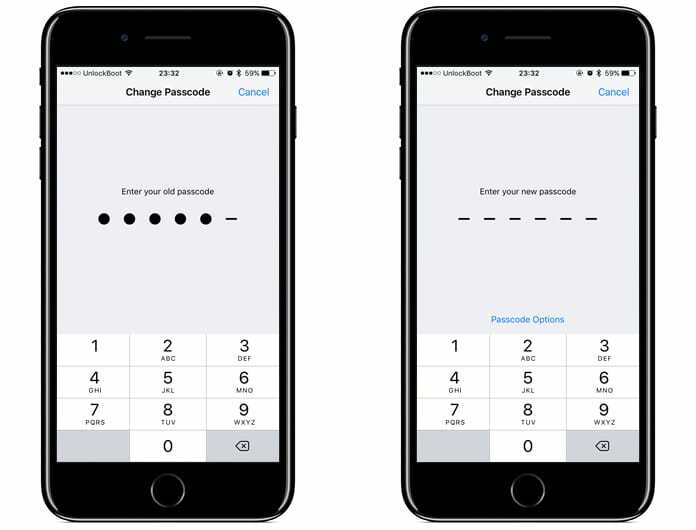 Apple has always advocated the use of 6 digit passcodes to its users due to the much higher security it affords the device. Again, if the unlock passcode is too easy or simple, the iOS will catch on and will want the user to change it to something more challenging. In case a configuration profile is installed on your device, like the iOS 11 beta one could cause it to trigger the Passcode Requirement prompt. To stop this from taking place again and again just go to Settings -> General -> Profile and take a look at which profile is available. Tap on it and delete it and enter the passcode to confirm the decision. 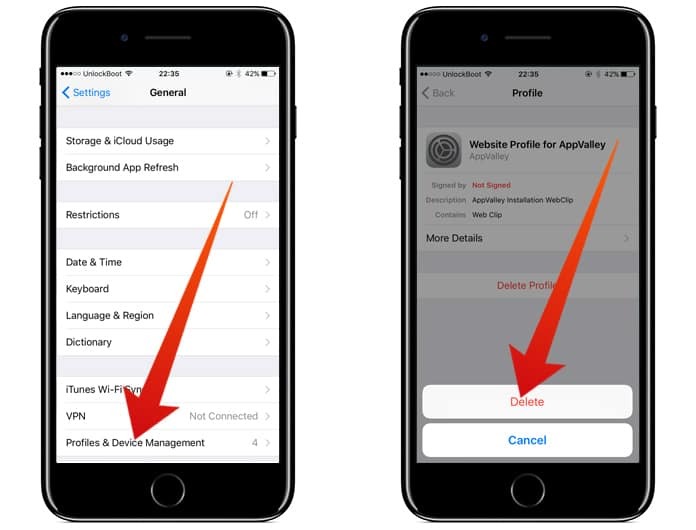 In case you own a business to which the iPhone is enrolled to the Mobile Device Management system, you might be prompted to change the passcode repeatedly. This is done to prevent data leaks. iOS 11 Feature: However, if it is none of the above that applies to you, it just as easily could be that the unlock Passcode requirement is an iOS 11 feature that prompts the user to change the password. To get rid of this problem once and for all, just tap on the Continue button when the prompt appears and type the current unlock code. Next time you will be asked to enter a 6 digit passcode, re-enter it to confirm and you are done. 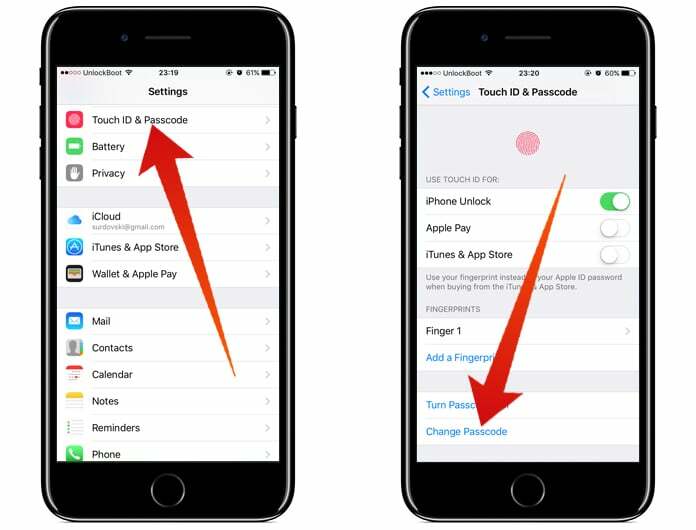 If you don’t want such a lengthy passcode just go to Settings -> Touch ID & Passcode and enter the current one and scroll to Change Passcode. Enter the old one again and tap on Passcode Options which should be visible at the bottom of the screen. Select 4 Digit Numeric Code and enter your desired passcode.